Distinctly shaped fender flares that make room for 23-inch high-tech forged wheels while in the interior masterfully finished finest leather and genuine carbon-fiber applications combine to create a unique ambiance: the exclusive STARTECH WIDEBODY version for the new Range Rover celebrates its world debut at the 2013 IAA. 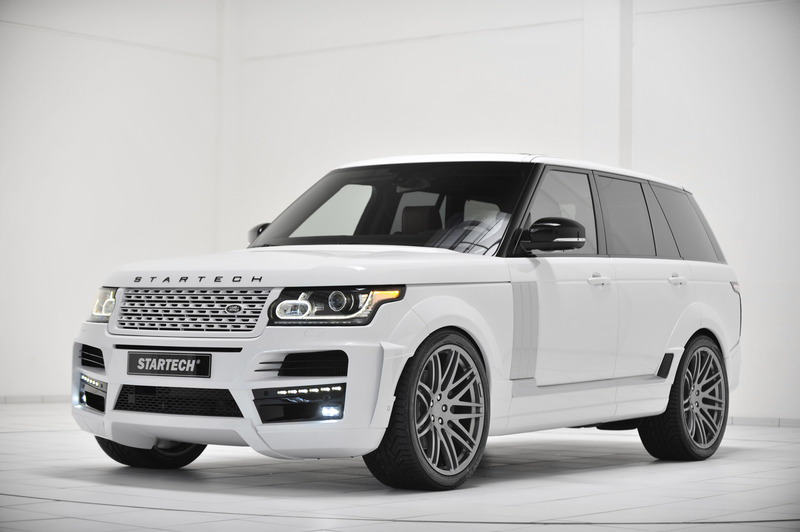 STARTECH , a BRABUS Group company, crowns the STARTECH REFINEMENT program for the British luxury SUV with this version. The widebody version can of course be combined with all other components from the extensive product range for the Range Rover such as, for example, the STARTECH SD30 S performance kit for the 3.0-liter LR-TDV6 turbodiesel engine. STARTECH vouches for the high quality of all components and modifications with the one-of-a-kind STARTECH Warranty of three years, up to 100,000 kilometers (see STARTECH Warranty Terms and Conditions, updated June 2013). All components and modifications are certified by the German Technical Inspection Association. 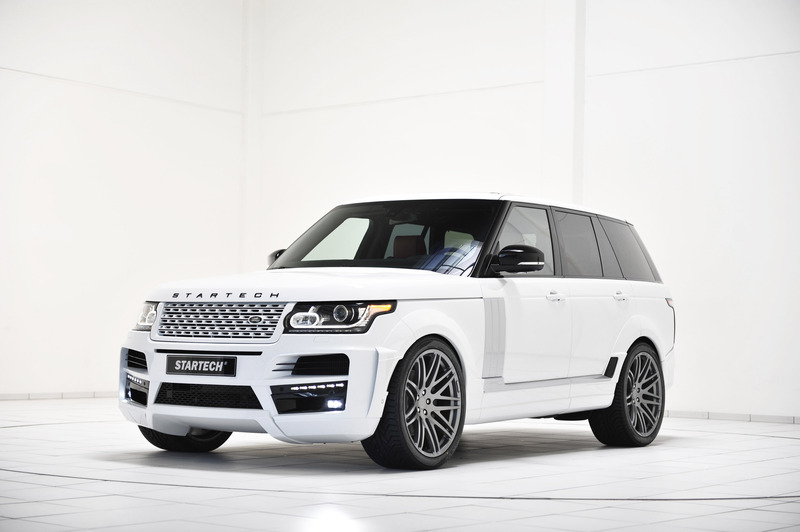 The new STARTECH WIDEBODY version was adapted by the designers specifically to the existing STARTECH REFINEMENT aerodynamic-enhancement package for the new Range Rover. Of course all components of the widebody version are manufactured in OEM quality from PUR-R-Rim plastics to ensure precise fit and perfect paintability. Immediately apparent from the front are the air guides of the widebody version, which are attached to the sides of the STARTECH front element. They give the English 4x4 an even more bullish appearance. They further emphasize the STARTECH front fascia that replaces the production bumper. The front spoiler and the lateral air guides perfectly complement each other at high speeds to reduce negative aerodynamic lift on the front axle. 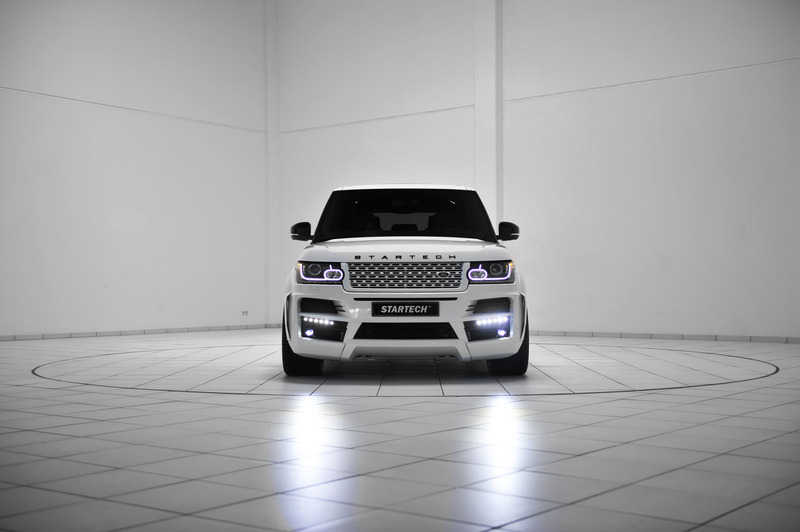 Another unmistakable feature of the STARTECH widebody version is the lighting concept of the new front end. To comply with the differing certification rules in different countries, identically shaped LED daytime running lights or LED position markers are integrated into STARTECH front fascia depending on the country of destination. In addition, the front element is equipped with the smallest LED fog lights currently available on the market. The new, elegantly curved STARTECH fender flares are mounted above the wheel arches front and back, and connected harmoniously by matching door components extending all the way to the rocker panels. 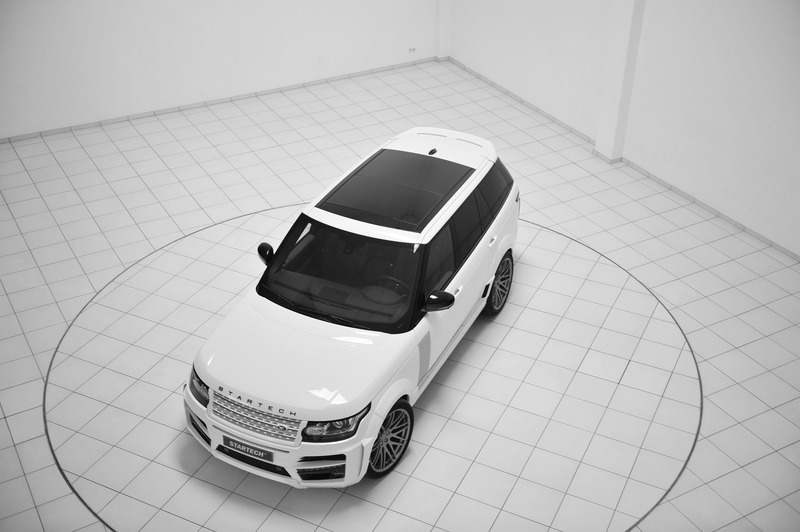 All in all the conversion adds 45 millimeters to the width of the Range Rover compared with the production vehicle. Similar to the front attachments, the rear fender flares feature stylized air scoops in front of the wheel arches. 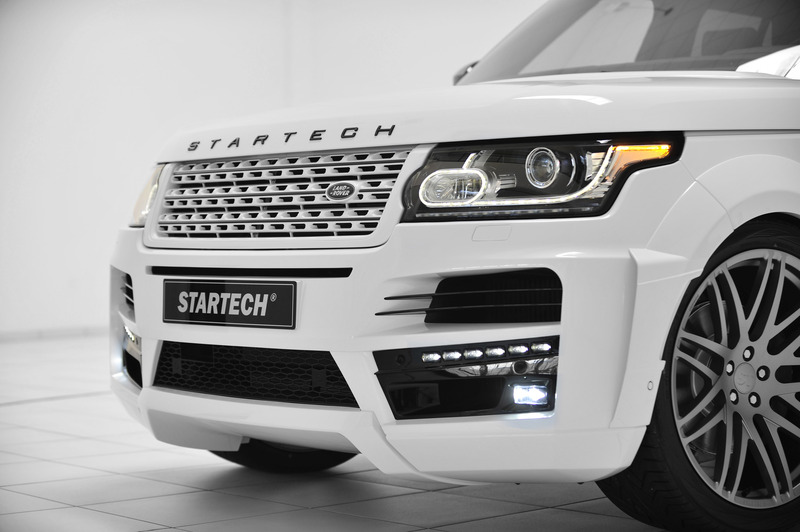 The STARTECH rear fascia replaces the production bumper in its entirety and with an integrated diffuser lends the Range Rover a markedly sporty rear appearance. This component also combines form and function perfectly: on one hand it ensures the power-operated trailer hitch works as flawlessly as with the production bumper. On the other, the fascia features exhaust embellishers with STARTECH design perfectly integrated into its lines. They can be combined with the dual STARTECH stainless-steel sport exhaust system with electronically controlled butterfly valve or with the production exhaust system of the Range Rover. In addition to an imposing appearance, a widebody version has above all one purpose: creating space for extremely large wheels! 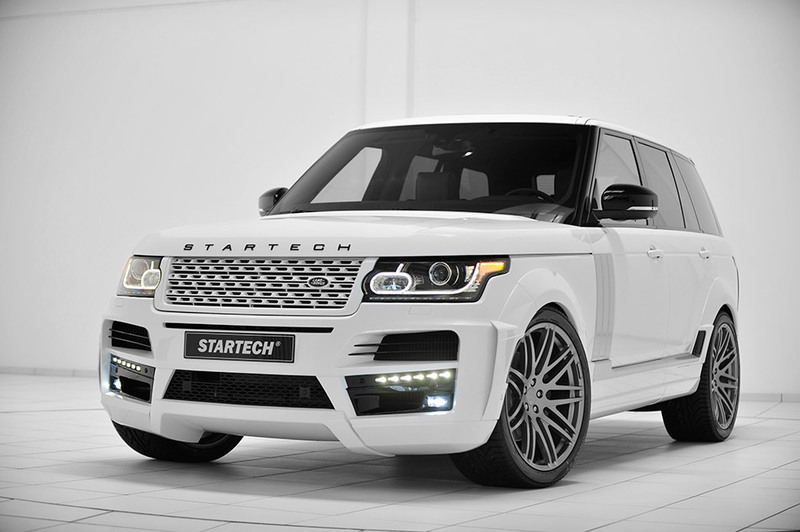 On the new Range Rover this objective is met by an entirely new wheel design: the STARTECH WIDEBODY version is equipped with STARTECH Monostar S wheels in size 11Jx23 developed specifically for this model. They are mounted with high-performance tires in size 305/30 R 23. The wheels impress not only with their enormous king-size format and their thrilling design with spatially offset cross-spokes that extend all the way to the outer edge of the rim flange, but in particular with their high-tech forging technology. This extremely cost-intensive manufacturing process makes it possible to design extremely lightweight yet robust wheels. Compared with a conventional cast wheel of the same size they offer weight savings of up to 15 percent. Nevertheless the process achieves extreme strength, which especially on an off-roader like the Range Rover is essential. 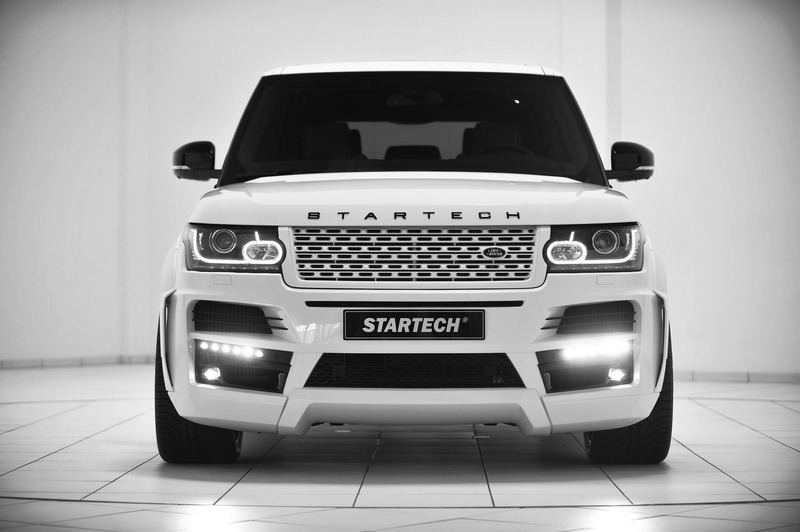 The STARTECH suspension module allows lowering the ride height of the Range Rover. 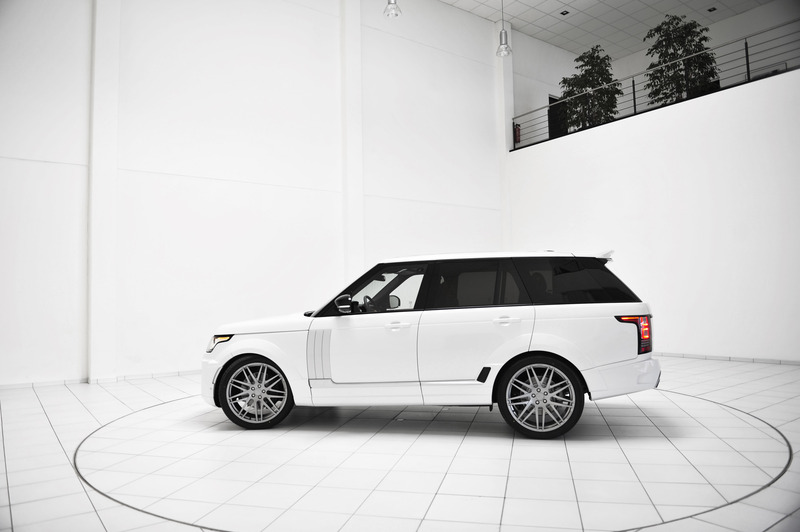 It lets drivers intervene in the control of the air suspension of the Range Rover from the cockpit. For on-road operations the car can be lowered from the cockpit by about 30 millimeters. The lower center of gravity makes the handling even safer and more agile. In off-road position the vehicle remains at the standard height. 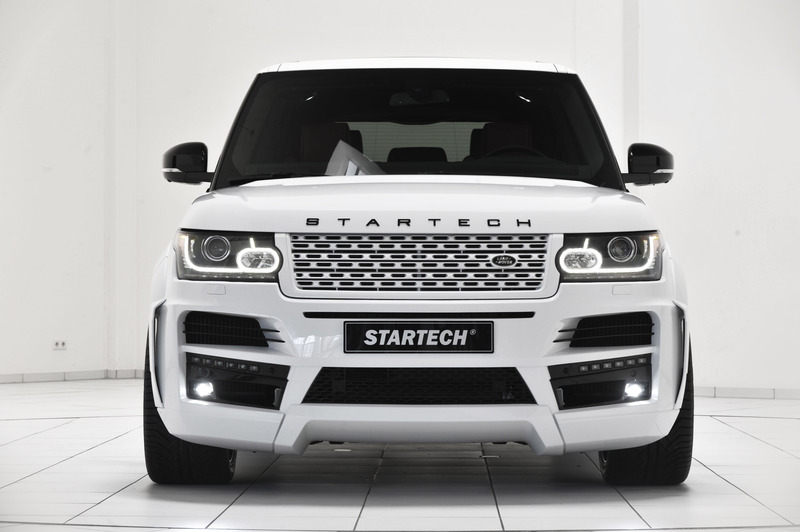 The STARTECH SD 30S performance kit for all Range Rover vehicles equipped with 3.0-liter LR-TDV6 diesel engine with two turbochargers offers even more dynamic handling. The STARTECH auxiliary control module can be installed by any specialist workshop in less than an hour thanks to a model-specific wire harness and plug-and-play design. New mapping for the engine electronics was programmed in extensive road and racetrack tests, and with the help of state-of-the-art test-rig technology. Instead of the standard 190 kW / 258 hp it puts an agile 221 kW / 300 hp at 4,000 rpm at the disposal of the driver's foot. At the same time peak torque grows from standard 600 Nm to 685 Nm, which are already on tap from a low 1,950 rpm. In perfect harmony with the eight-speed automatic transmission and in conjunction with the lightweight-design philosophy of the new Range Rover this power increase also expresses itself in considerable better performance: the sprint from rest to 100 km/h takes just 7.3 seconds. 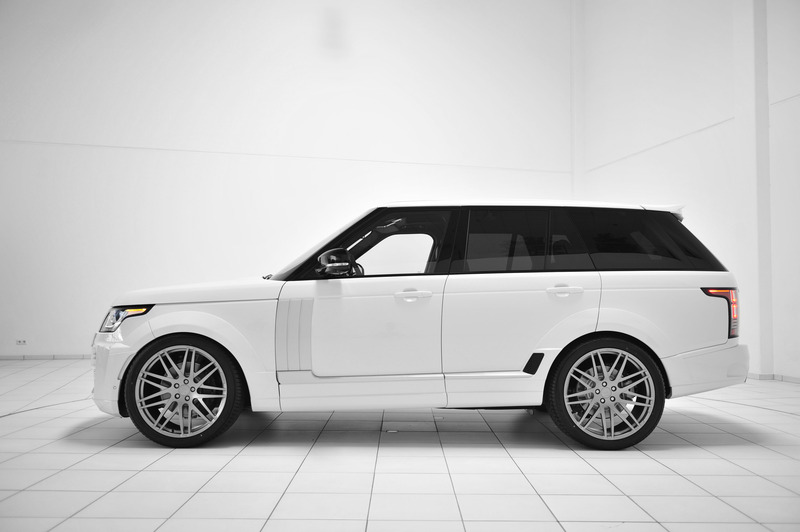 Top speed of the STARTECH-tuned Range Rover increases to 220 km/h. The STARTECH performance kit for the 4.4-liter V8 turbodiesel engine is in the final stages of development. The STARTECH sport exhaust with controlled butterfly valve can be perfectly integrated into the widebody design. But that's not all: its electronically controlled exhaust-note management also provides a very special kind of driving fun. 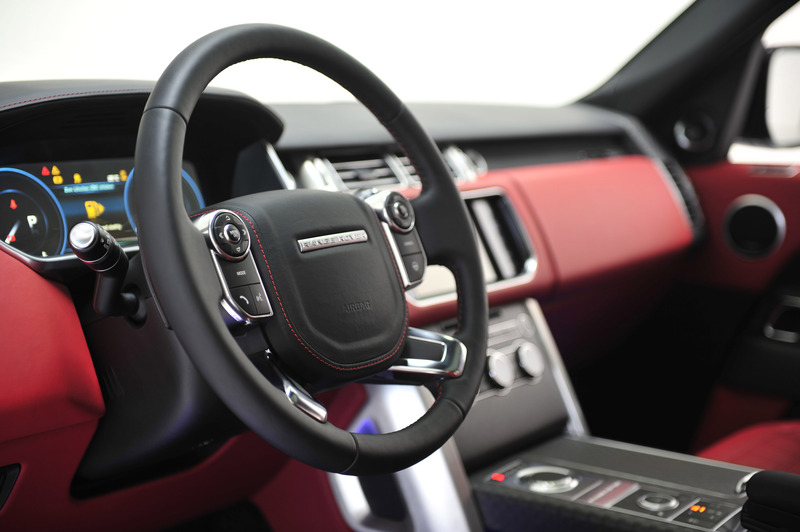 The driver influences the exhaust note with the gear selection wheel in the cockpit: in "Sport" position in particular the powerful supercharged version of the Range Rover delivers a thrilling sound. In transmission mode "D" with closed butterfly valve the engine "whispers" very quietly. Another STARTECH REFINEMENT specialty is the creation of exclusive interiors. The company upholstery shop meticulously handcrafts completion sets for the production leather interior or entire newly designed interiors. Customers can choose virtually any desired color for the finest leather and Alcantara, which are sewn into any upholstery design imaginable with masterful precision. The IAA show car is a widebody version also equipped with genuine carbon-fiber appointments in Checkered-Flag design. The STARTECH teakwood floor for the trunk adds a maritime touch.